The structure of the film is brilliant. Chance is a simple minded gardener isolated all his life in a Washington D.C. compound. 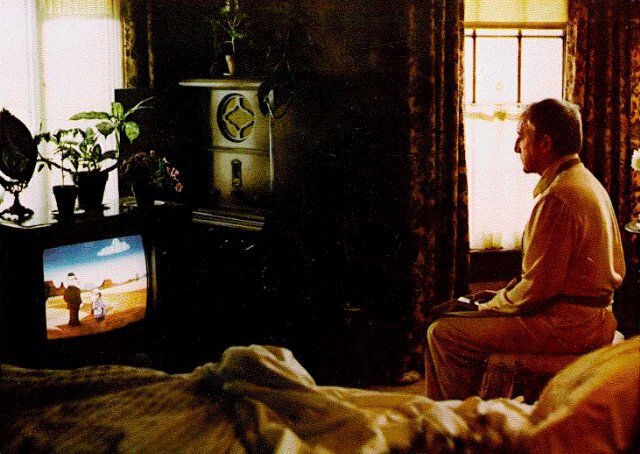 His knowledge of life and the outside world come only from his constant companion: the TV. All through the film televisions can be found, almost as another character, providing perspective on the situation. Nowhere is this more brilliantly done than when Chance is riding in the back of the limousine with the wife of the rich and powerful Benjiman Rand. As they are pulling into the luxurious estate, Chance turns the limo TV to an animated cartoon of a inner city boy singing about basketball. The layered contrasts in the scene are perfectly disorienting and hiliarious.